The New York Mets and the Miami Marlins will square off in Game 2 of a three-game series in Marlins Park. This is the first series between these two NL East rivals this season. The Mets come into this contest in first place in the NL East, while the Marlins find themselves in last place in the division. The New York Mets won the first game of this series, 4-2. The Mets come into this Tuesday game as pretty large -183 favorites against the Marlins. 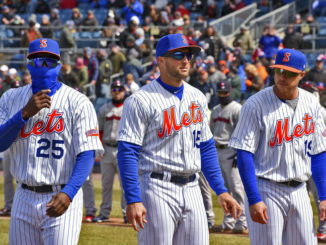 The New York Mets are off to a red-hot start to the 2018 season with a record of 8-1 and are 4-0 on the road. They also come in riding a 7 game win streak. The Mets have outscored their opponents by a total of 19 runs through the first 9 games of the season. Pitching and defense have carried this ballclub early on as they have only allowed 24 runs through their first 9 games. Jacob DeGrom will get the start in this matchup and he will be seeking his 3rd straight win to start the season. DeGrom is coming off of a strong outing in which he limited the Washington Nationals to 2 runs (1 earned) over 6 innings of work. The offense of the Mets is led by Asdrubal Cabrera and Yoenis Cespedes. Cabrera is hitting .324 on the young season with an OPS of .887. While Cespedes isn’t hitting for a high average, he has already belted three home runs and has driven in 8 runs already for the Mets. Cespedes and Cabrera look to stay hot to provide enough run support for their dominant pitching staff. Not much has gone right for the Miami Marlins to start the 2018 season. After splitting a four-game series with the NL Central favorite, the Chicago Cubs, the Marlins have won only once in their last 6 games played. The Marlins are currently 3-7 on the season and are already 5.5 games off the pace in the NL East. The Marlins currently have a Major League-worst -30 run differential and have given up a league worst 62 runs through their first 10 games. It appears that the fans in Miami have taken notice, as the Marlins are only averaging a little over 14,000 fans per game in attendance. Derek Dietrich is the lone offensive bright spot in the Marlins lineup as he is the only Marlins regular that is batting over .300. The Marlins lack offensive firepower and as a team has only belted three home runs to begin the season. Left-hander Caleb Smith will be taking the ball for the Marlins in this game. He is currently 0-1 with a 4.32 ERA and is coming off of a bad outing against the Philadelphia Phillies. Jacob DeGrom is off to a great start to the 2018 season and I look for it to continue tonight down in Miami. The Marlins simply don’t have the offensive talent to provide a real threat to the hard-throwing DeGrom. 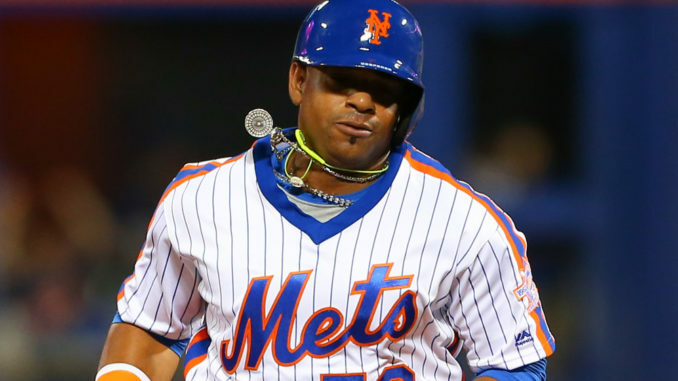 Offensively, look for Cespedes and the other right-handed hitters from the New York Mets to do some early offensive damage against Caleb Smith. The Mets will get their 8th straight victory tonight by beating the Marlins down in Miami. Bet the New York Mets -183 over the Miami Marlins. Where to Bet on Baseball?